When the option to review World to the West came through, I HAD to take it. The follow-up game to Teslagrad, one of my all-time favorite indie titles ever, from the same developer and set in the same universe? Uhh... yes please. With that pedigree, I went into World to the West on Nintendo's Switch expecting another mind-blowing, world-changing experience in the same vein as the transcendent Teslagrad, but while I wouldn't classify this game as a sophomore slump, it doesn't come close to the heights achieved by the developers' first foray into this fascinating and still far from completely realized universe. It's impossible for me to even start this review without highlighting what feels so different about World to the West and Teslagrad. Teslagrad's opening sequence, being pursed across rooftops in a daring escape to a mysterious castle gets my vote for one of the best openers I've ever had the joy of playing, but WTTW is a complete change of form. The game's first few minutes are just not all that interesting in comparison, and it could be argued that the game really takes eight full chapters to really reach a point where it grabs the player and brings it all together. See, in WTTW, you control one or two completely different characters, seemingly in only loosely related storylines, for the first eight chapters of the game. It isn't until you reach chapter nine that things fall into place, but we'll get to this in a minute. That isn't to say the first eight chapters aren't enjoyable. Each chapter focuses on one or two of four main characters, each with different skills needed to progress. One can fight and break boulders, one can control different animals, another can teleport and the last one can dig and use explosives. These chapters take place in top-down, semi 3D environments, reminiscent of earlier Zelda adventures. Your goal is to get from point A to point B in each, but that requires some simple combat, even some boss fights, but mostly it comes down to mostly environmentally-based puzzles. Some of these are quite complex and ingenious, but they are balanced out by some that are either inanely simple or totally incomprehensible, with solutions that don't feel like they make sense or fit with some of the better challenges. While the larger, open environments seem like a step forward at first, they can be confusing at times and really made me long for the tighter, more focused puzzles of Teslagrad. Getting lost in these huge areas is made a little less daunting by fast travel points, but marching around only to find you've brought the wrong character with the wrong abilities to progress is a huge drag, and retreading that same path as the right character feels like wasted time. Remember how I said the game opens slowly, only really coming alive in the ninth chapter? At this point in the game, the four characters' stories finally intersect, and you have access to all four main heroes at once. With the overly long buildup to this point, it feels like the game concludes too quickly after this, though the story does come to a satisfying close. Best of all, it leaves things open for a third visit to this universe in the future, and seeing what Rain Games does with it for another go-round has me excited to say the least. The last thing I want to bring up before I call it a day is that technically, the game doesn't feel as tight as it could be. A few overlong load times, some lower-rez areas and characters and even a few frameskips here and there make WTTW feel like a less refined experience than Teslagrad, but the game counters this with excellent characterization, some cute dialogue and a very satisfying ending, even if it feels like it comes far too soon. There is no disputing that WTTW is a very different game than Teslagrad. 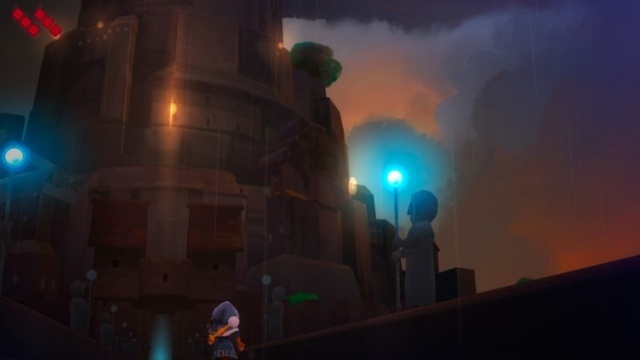 Fans of the first should not discount the second as it is absolutely worth playing through, but expecting the near legendary heights achieved by Teslagrad seems like an impossible task. World to the West comes close in a lot of ways, but a slow start, a quick end and some other minor problems make the game the obvious weaker of the two. 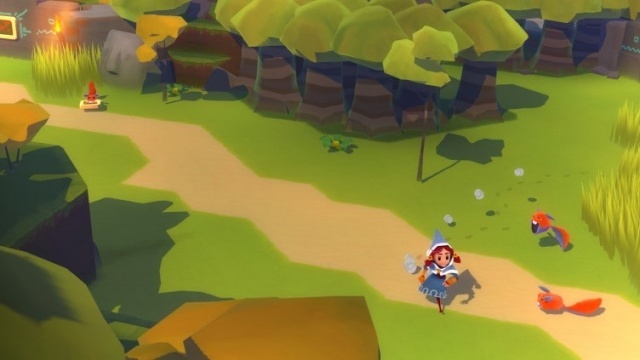 If you are looking for a fun, puzzle-based adventure in the vein of an early Zelda, were a die-hard fan of Teslagrad (and honestly, every gamer should be) or you just want something a little different, World to the West can scratch those itches. I sincerely hope this isn't the last time we see a game set in this fascinating universe, and given what Rain Games has done with and learned from the first two, the third entry could end up being as celebrated and timeless an indie as a Cave Story, Shovel Knight or Axiom Verge. World to the West wasn't quite what it could have been, but it's still a compelling adventure that will appeal to more folks than you might think. Final Rating: 76% - More of a sophomore slip than a slump.